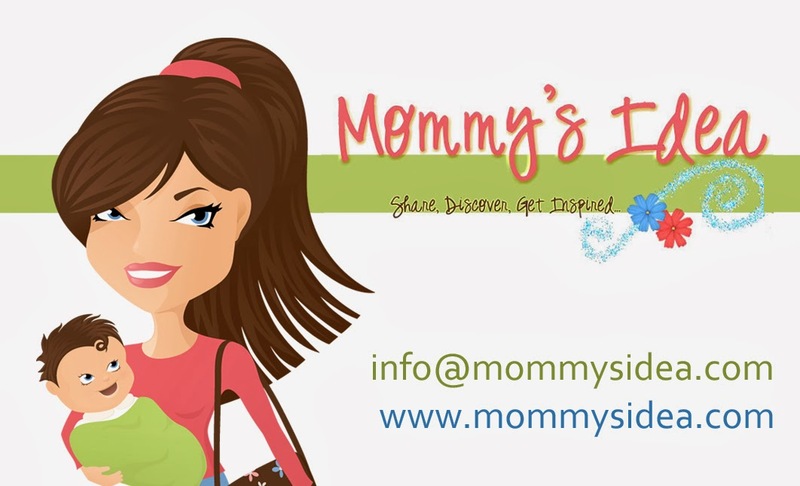 Mommy's Idea: Win a Silhouette painting from Adore Design Studio! Win a Silhouette painting from Adore Design Studio! Contest ends at 11:59 PM EST on Tuesday, July 14, 2009. I’m a newlywed with a passion for creating things. I’ve always been artistic, dabbling in art/drawing classes in college, but it wasn’t until about a year ago that I seriously picked up a paint brush. I was nesting, naturally, in our new house when I thought that I could go spend hundreds of dollars on dressing up my walls with cheap artwork, or I could create my own. So that’s what I did. And let me tell you I had fun! My friends saw my artwork and it evolved from there. It wasn’t until I kept getting requests from friends who started having babies that I realized that there was a real demand for moms to decorate their nurseries or kids rooms with adorable custom art. Thus, Adore Design Studio was born. I created this little design shop for moms who want adorable personalized art that is also affordable. Although I don’t have any children of my own yet, you can bet I’m going to make them the cutest paintings ever! It’s been an adventure! I didn’t get in on the whole blog community thing until about 6 months ago, when I seriously thought about starting my little company. It’s amazing how you can “meet” new people and form friendships that are completely virtual. And I’m so thankful for the friendships I’ve found so far! They’ve really helped introduce my product to the world. I’m not saying it’s easy though, I’m still slowly learning the ropes on how to network and collaborate with other fellow bloggers! I think the best part of being an entrepreneur is seeing your idea or concept come to fruition and then not knowing where it will take you! My mom has pictures of us like this as kids still on her wall. I would love to have the something similar for my kids but had no idea if these were even made any more! SO CUTE - I would love to hang this on my son's new room wall! I'd love to win this because I think it is a wonderful way to preserve your little one forever! These are adorable. I have one of myself when I was in kindergarten. I would love to have one for my son so he can keep it forever. My parents had a silhouette done of my family for a Christmas card when I was 13 (I am much older now). I'd love to have one done of my husband and I or to give it as a gift to a sibling (there are 7 of us). It is just such a beautiful and delicate art form. I simply adore silhouettes! This is a great giveaway because Adore Design Studio has some beautiful sample work up. I'd love to win! I would love to put this on my dining room wall. I have always wanted one of these. I think these are just amazing - so elegant and cute. I would be thrilled to win one to honor a family member. I would love this because it resembles pictures my mom has of me! I would love to win this because I think it is just adorable! I think this would be a great keepsake to have around for a long, long time! would love to win it coz i really want to hang this in my room above the bed. totally adorable! I would love to see if there is much of a difference in my twins profiles. this is such a cool product, i'd love to have such a unique product on my wall! I love this classic look! Would make a fun surprise for my family. I think silhouette art is classic, timeless, and beautiful. I've been really wanting to get a silhouette of my children for their rooms! Thanks for the chance. These remind me of my grandma she used to have her and my late granpa done in silhouette and my aunt when she was a little girl. \id love one for my daughter! i would like to win this for my husband, cause his grandparents have a silhouette and he always talks about it so now we can have our own. Adore Design Studio creates custom design work that I, for one, would be thrilled to own! I would love to win this as a beatiful keepsake of my daughter ! My daughter has a gorgeous profile, I'd like to capture it while she is still little! I would love to have one of these done for my 7 yr old. I am currently re-doing my living room and this would be a very lovely addition to the rest of her portraits that we have there. I think Silhouettes are so classic and elegant, and I love how Adore Designs makes them a little more modern. I'd love to have one of my son as a memento of his babyhood. I'd love to win one of these - I remember parents and grandparents having these and I'd love to have one for my kids now! These are very nice and silhouettes are neat! I have never had any of anyone! Sure would like to. oh i love this! my friends would be so jealous! i have a french decor foyer that this would match perfect and everyone who walked in my house would see it right when they walked in. LOVE it!!! They are just so cool looking. These are a lovely vintage way to decorate your nest. Very unique and would look great in my front entryway. I would love to win because I have a favorite niece due in November and this would make a great shower present. Thanks for the wonderful giveaway. I would love to have one of these for my nephew! I would love to win this because it is so unique and personal. I would like to get this for my aunt who has a thing for Colin Firth. Could I get it of Colin Firth as Mr. Darcy?? That would be PERFECT for her!! I'd luv to win this because it's justmy style and would display it in my 1/2 bath or entry. I remember in Kindergarten we did shadow pictures of our faces like this and on parent night, your parents try to find yours. My dad, who is no longer with us (tears) picked out my silhouette right away. They did this for my first daughter's preschool class (she went to the same preschool as me!) but I would love to have my littlest Chubby-huggy's done. She has quite a silhouette, I'll tell you! Id love to win because I just moved into a new place and my walls are empty and bare! I want this because it would make a great birthday gift for my mother! I want a silhouette of my 6 year old son strumming on a guitar. My cousin has pictures like this of all her children. I always admired them. I would love to win one of these and hang it in my living room! There's something about a silhouette which just tugs at my heart. I'm very sentimental so this would be so meaningful!